Documentary examining the case of Michael Sandford, who was arrested after trying to shoot Donald Trump during the US presidential campaign. Browse content similar to The Brit Who Tried to Kill Trump. Check below for episodes and series from the same categories and more! that he'd gone missing in America. he turned up at a Donald Trump campaign rally in Las Vegas. I will build a great, great wall. Michael approached a police officer. Seconds later, he attempted to grab the officer's gun. Oh, we love our police. saying he was a racist that deserved to die. and high-profile man in the world? We've always just been a very, very close family unit. He thought Donald Trump was the worst thing for the world. This is not a hardened criminal. This is just a young kid who found himself in an awful situation. He tried to assassinate him. He was a wolf in sheep's clothing. Michael is due to be sentenced, and could face decades in prison. Michael Sandford could have altered the course of American history. with a history of mental health problems? He seemed a totally different personality from the boy I'd known. He's going to spend his 21st birthday in prison. Someone who really shouldn't be there. Or was it a premeditated attack? When Michael was shooting, he was doing this. Who was he working for? There's nothing I can tell him that will make his situation any better. And I just want my son back. What have you been up to today so far? What have you had to eat today? So, was porridge not for breakfast today? That wasn't very clever, was it? Is that because you were shaking? Have you had any more seizures? Oh, dear, sorry to hear that. and we're so far away from him. All the calls are recorded and monitored. It's very impersonal. Sometimes he begs me not to go, and he rings me back again. He says, "I just want to keep hearing your voice, Mum." 'I know we're down to our last minute, aren't we? Got cut off. 15 minutes, that's all you get. It's just the same every day. and the answers are always the same. What he's had to eat. You know, it's not a life. It's barely an existence for him out there at the moment. in Nevada's Death Valley while he awaits sentencing. but still faces the possibility of a lengthy jail term. and, certainly, it's a very complex case. that was a spur of the moment type of crime. This was something that he had been...that had been calculated. that could have resulted in somebody being murdered. The maximum, under the law, is 20 years for Michael. So he could be looking at many, many years in prison. I think that one's really cute. None of us had any idea what was ahead for us back then. as this angelic little boy. I think it's so tragic this is where his life is at. Especially someone who really shouldn't be there. He was very bright and bubbly, and cute, and sweet, and adorable. He was the apple of our eye. when we would throw quite ordinary things in the rubbish bin. That was the first sign that he had some form of OCD. This, oddly enough, his key collection. When Michael was about eight, his mood started to change. They were quite erratic at times. He seemed to become quite depressive and quite angry. I wondered if it was some anger at the break-up. were starting to concern me by then. It says, "Michael Sandford, my autobiography, age 13." It goes through all the usual things. "with my mother, budgie and hamster." "I'm wondering what the world is coming to. "but I believe humans will destroy it long before then." That was something he was very worried about. He was very worried about mankind. I guess that's been mirrored by what he said about Donald Trump. a condition associated with difficulties in social interaction. He was just falling apart. not knowing how to fit in or cope. At secondary school, he was bullied. in the hope he'd get knocked over, to avoid going to school. I very much feel the system failed Michael. and nobody did anything, until it became almost too late. and had to be sectioned to a psychiatric hospital. He had said, "Life isn't worth living, I find it too hard." I was really frightened that I was going to lose him. I was terrified. a long time ago and he did something wrong. So that's why he's in there now. but he has always remained close to his dad, Paul. We all know our children, we all know their personalities. to do something like that or not. He's never shouted, he's never screamed at me. just wasn't there with Michael. He seemed very politicised, very radical. Just a totally different personality from the boy I'd known. all the things like the newspaper cuttings from before. Obviously, newspaper cuttings from now. Has he not told you why he did it, or what was going through his head? No, I mean, it's very difficult for him to say anything to us. Everything he says and everything he does is monitored. but at the moment he's not told us anything, really. in the news coverage from back home. Whatever word you'd like to use. to kill Donald Trump, I don't know. Asperger's can make you look at things very black and white. I think they saw Michael and saw he was vulnerable. to coerce him to do what they wanted him to do. um, has given him ideas, because he wasn't my Michael. to be with a girlfriend he'd met online. have a bit of independence and attempt to lead a normal life. He said he had to go or he would attempt suicide again. He's 18, he's an adult. He's a vulnerable adult, but you can't stop him doing anything. He was the smallest, skinniest person I'd ever met. The most polite person that I'd ever met. Michael never mentioned any girl to me, or friends or anybody. I think I recall him saying he knew nobody here. It does make you start to wonder. Initially, we heard from Michael all the time. But his behaviour became erratic. Sometimes we'd hear from him, sometimes we wouldn't. He turned very nasty at one point. "You've no idea how much I hate, loathe and despise you." I said to him, "Who is putting these thoughts in your mind?" Because he'd always been so loving. Lynne reported him missing to the authorities. I was worried out my mind. I could only see it ending in a disaster. bought using the money he'd been given for rent. Michael didn't surface again until the day of his arrest. Donald Trump's remarkable rise to the White House is confirmed. that took place overnight in America? it's obviously only been announced in the last hour or so. There's no getting away from it now. and, like it or lump it, you know, we've got to get on with it. on the length of Michael's jail term. Thank you. Thank you very much, everybody. casts a potentially very big shadow over that. or commit suicide, if he had the opportunity. and so much more complicated for Michael. you know, and it's made the future so much more uncertain for him. and gets most of his news from his mum. Have you heard about the election results? You haven't, OK, well, Donald Trump did get in, in the end. that what you attempted to do wasn't right, don't you? I know that, Michael, I know that. -You have one minute remaining. Michael has now reverted back to being the loving son he always has. and drawings that he's done. And every time he says, "I love you, I love you, I miss you, I need you." Just get me thinking about him a bit more, I guess. It's been probably ten years since I've been abroad. He needs that support. With that support it'll be all right. and he's been placed on suicide watch. so at least he'll know what's happening to him. We hope it's going to be OK.
tends to really, um, look into. He is flesh and blood, he is my boy. And, um, he's lonely and scared. I mean, he's got no family out there, he's got nobody to see him. They've got nothing to lose, really. saying there's been an incident. Something's happened in the detention centre. somebody's going to try and kill him. I really am. and, uh, obviously then you start to get really down and tired. I've got to do it for Michael. You just get over it and get it done with. I'm trying to get my son home. his legal team are putting the final touches to their case. while we're arguing for sentencing. is to limit the amount of time that he needs to spend there. and being an illegal alien in possession of a firearm. that he tried to assassinate what is now President-elect Trump. he was suffering from a psychotic episode. I have come to know in the last few months. that the government's portraying at sentencing. but a condition that needs to be treated. so I think right now it's really just a matter of wait and see. tracking Michael's movements leading up to his assassination attempt. less than a mile from where the rally took place. It's going to be really loud. Michael attended the shooting range the day before the rally. but claimed he was unable to acquire one. This is the Glock 17, the one that Michael shot. Slide goes forward. Ready to go. Josh was the range safety officer that attended to Michael. He was shy, he was nervous, just like any other customer. that he was practising for an assassination, ever. Glock 17s are standard issue for law enforcement here in this country. you don't shoot down. You're pretty much just keeping that gun forward. Which will look something like this. When Michael was shooting, I'll see if I can get it right. I'm going to miss on purpose. and has adrenaline kicking in and is really nervous. like he couldn't hurt a fly or anything. He seemed like a really nice guy, you know? He is meeting Lynne and the rest of Michael's family at the airport. and I'm sure Lynne's going to be the same. it's going to be hard for both of us. And I think Lynne, Lynne is going to start struggling. What's your relationship like with Lynne? One big family, Jessica, eh? So how you been, then, all right? Yeah, yeah, it's been hard. -You know, really, really tiring and stressful. No, no. Nor eating better. At least we'll have some sort of closure for tomorrow, won't we? That's it, it's been a long time coming, hasn't it? just the waiting and not knowing. Do you remember where I said that we're going to go tomorrow? -Who's going to be at the court, and why are we there? Because we have to find out how long he has to stay there again. and decide how much longer Michael has to stay here, isn't he? -Do you think you can be on your best behaviour? how well you can behave, as well, wouldn't he? What would you like to say to Michael if you get the chance? -Hi, son. How are you? And what did she have to say? Well at least you get to have your say, anyway. Are you going to read it to me? Right, now, when we get in, it's bed for you, Jessica. that you deserve to be in prison for the rest of your life. I know, but you didn't mean to and you didn't intend to, did you? and took fourth place in the queue. Greg Donovan, a staunch Trump supporter, was next in line. I said, "Would you mind holding my space while I go change?" I heard the British accent, I remember it. I was in my full red thing and black top hat. But when he saw it, he seemed kind of repulsed. I found that odd, because I thought he would like it, you know? It just didn't seem like a regular Trump supporter. It didn't seem like that. I was in the fifth row, I got very close to Mr Trump. I was so close to him. Look at that. There's something about the rallies. took his place in the crowd. The crowds are just so high energy, feeding off his energy. So passionate, start chanting things over and over again. Thank you very much. Oh, I love you people. Michael approached a metropolitan patrol officer. ..and borders, generally, that are strong and powerful. and we are going to bring our education locally. Uh... We love our police. Thank you. Thank you, officers. I started filming when I saw guards tackling somebody. And they were just dragging him out like he's a rag doll. I was like, "Whoa, like, what did he do?" could have altered the course of American history. He didn't look like murderer. to kill our future president of the United States. the judge has to give him the maximum. would be to lose his own life rather than have Trump as president. only the right thing to do. It's the morning of Michael's sentencing. The family are on their way to meet the legal team for a final briefing. How are you? It is good to see you. -Remind me his name again. -Timmy. And the other one is? -I'm good. Hi, Lynne. Good to see you. I just don't want you to be surprised. He is going to be shackled, right? and he is going to have some leg cuffs as well. The leg cuffs are going to remain on him. He'll be wearing, you know, a detainee garb, jumpsuit of sorts. So, I just don't want you to be shocked by that. That's how you're going to see Michael. but they will often hear from both sides. Sometimes they will ask questions. Then the judge will often ask the defendant to speak, Michael. So we would plan on having him talk to the judge. he decided to impose a particular sentencing. we don't know what's going to happen. that he believes is fair and just. he faces a lengthy jail term. Michael Sandford is only now dressed in an orange jumpsuit. He is tethered at the ankles. and therefore they are asking the court to show some leniency. That is now in the hands of the judge. We are expecting that verdict sometime in the next hour. What's done is done. We can't change what happened. But our worries are that we won't get him back. -Which way we are we going? -I think it is just around here. Have you been able to talk with him? He needs to get psychiatric care. He needs to be back in the UK. he is in now if he had got the intervention he needed soon enough. Where is all the hate coming from? I asked for help so many times, but I didn't get it. No, I understand that. Do you think what you are doing is right? It's not. If you want to kill somebody, it makes you wrong. That makes you wrong. This is America, land of the free, right? Everybody should be entitled to do what they want to say and do, right? This is America. That's the rule. Everyone is entitled to say what they want to say. OK, you know what? Then you need to change the Constitution. I am not here to debate. I am telling you that violence is wrong. There is life for him the other side of this, whenever that may be. I know we have to get him back. Tell us about this sentencing, what did you think? justified a sentence below the usual sentencing guidelines. The important thing is that he wants to go home. so he is happy about that. of 12 months and a day. Was it good to see Michael? He was so frightened in court. You know, he was shaking really badly. He was choked when he spoke to the judge. and I just feel like a weight has been lifted off my shoulders. I'm just bubbling with joy inside. -I don't think I've ever seen you smile. I haven't had a lot to smile about for quite a long time. "You've got nothing to be sorry for." He said, "You've got a condition. "If it had been a heart condition, he would take medication for it. "Nobody would think anything about it." "It's nothing to be ashamed of." The judge realised what everybody else has always said about him. 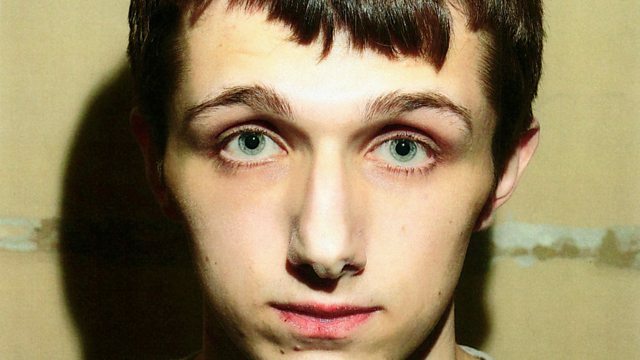 In June 2016, 20-year-old Briton Michael Sandford was arrested at a Donald Trump rally after trying to take a police officer's gun in a bid to shoot the then republican presidential nominee. Michael immediately found himself at the centre of a media storm and at the mercy of America's notoriously harsh justice system. After pleading guilty, he faced years behind bars. But how did a young middle-class boy from suburban Surrey who suffers from Asperger's end up thousands of miles from home? And what drove him to attempt to kill one of the most powerful men in the world? This programme follows Michael's family as they travel to the US for his sentencing, unsure of when they might see him again. Set against the backdrop of Trump's remarkable rise to the White House, the documentary explores Michael's complex past while using exclusive eyewitness interviews and never-before-seen archive to piece together the elaborate assassination plot and attempt to find out why he did it.